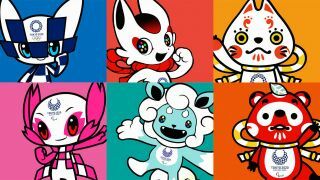 All the would-be mascots for Tokyo 2020 are kawaii as heck; which ones would you pick? The Tokyo 2020 Olympics are over two years away, but we can already tell you that if it had a character design event, Japan would have already won bronze, silver and gold medals. Japan, of course, has plenty of form when it comes to designing completely adorable characters; it's the country that's brought us Hello Kitty, Domo Kun and all the Pokémon. So when it unveiled its potential mascots for the 2020 games, we suspected they might be amazing, and we're not disappointed. There are three sets of mascots up for your consideration, each made up of an Olympic and Paralympic mascot, and every single one of them is a winner. Inspired largely by Japanese mythology, each mascot has its own characteristics that we could frankly sit and read all day. For example: "To express emotions, the Mascot’s mane can send out different objects such as cherry blossom petals, snow, autumn leaves, lightning bolts and thunder along with seasonal winds." Because of course it can. The first two mascots perhaps have the most modern look and remind us of little superheroes; we're told that the Olympic mascot has an old-fashioned charm that reflects tradition and also has a high-tech, cutting edge vibe, while the Paralympic mascot is a cool character with cherry tactile sense and supernatural power. They have opposite personalities, but they respect each other and are very good friends. The second set of candidates are based on traditional mythological animals; the Olympic mascot is modelled on the lucky cat and Inari fox, traditional Japanese symbols of luck, while the Paralympic mascot is inspired by a guardian dog that's a popular fixture at shrines. These Pokémon-like mascots look very different to each other, but they're best friends and good rivals, and they both take each other to a higher level. The final candidates come straight out of Japanese fairy tales. The Olympic mascot is an athletic fox decorated in Magatama patterns, which cheers and excites athletes and spectators along with the spirit of the wind. The Paralympic mascot is a shape-shifting raccoon with a leaf on its head, which also cheers and excites the athletes and spectators, only with the spirit of the forest. Both mascots use Japan's red and white colours and also feature traditional Mizuhiki ribbons. We're sure you already have your favourites, but unless you know any Japanese schoolchildren you won't be able to influence the final choice of mascots. They're being voted on by Japanese elementary school pupils between 11 December and 22 February. The winning mascots are expected to be announced in late February, and they'll be given names in time for their official debut in July or August 2018. We're sure that whichever set of mascots wins, it'll be a massive hit (but we really hope that it's the final fairytale pair).